The Golden Isles played a significant role in the military efforts of World War II, which included a blimp fleet based at a naval air station in Brunswick watching for German submarines from above. Many of the Golden Isles’ older residents remember a time when blimps floating high above were a common sight. While most Americans thought of World War II as something happening on distant shores, German submarines called U-boats lurked in the waters of the Atlantic, dangerously close to the coast of the Golden Isles, and the U.S. Navy used helium-filled blimps to patrol the seas for them. The small towns and communities along Georgia’s coast sprang into action to support the war effort with a naval air station on St. Simons Island, shipbuilding in Brunswick and the Naval Air Station Glynco, also in Brunswick, where the blimps were launched. Naval Air Station Glynco was established in 1942 and completed in 1943. It was named after Glynn County instead of Brunswick so that it wouldn’t be confused with a naval air station in Brunswick, Maine. Construction of the air station began with landing mats, taxiways and mooring circles (areas where the airships could be docked) for the blimps, then moved on to two massive hangars in which to store the aircraft. Each hangar was more than 1,000 feet long, nearly 300 feet wide and nearly 200 feet tall—each could have held six football fields. Large structures such as these would normally have been built with steel supports, but war demand for steel necessitated the structures be made almost entirely out of wood. The hangars were assembled in Tacoma, Washington, numbered and dismantled, shipped by rail and reassembled upon arrival like a giant jigsaw puzzle. At the time, the hangars were some of the largest wooden structures in the world. “A lot of people think of blimps as outdated technology, but they actually were pretty complex and had a lot of tools on board,” Jensen says. Each military blimp at Glynco operated with a crew of nine. They could spot submarines visually and also intercept them with sonar and magnetic anomaly detectors. 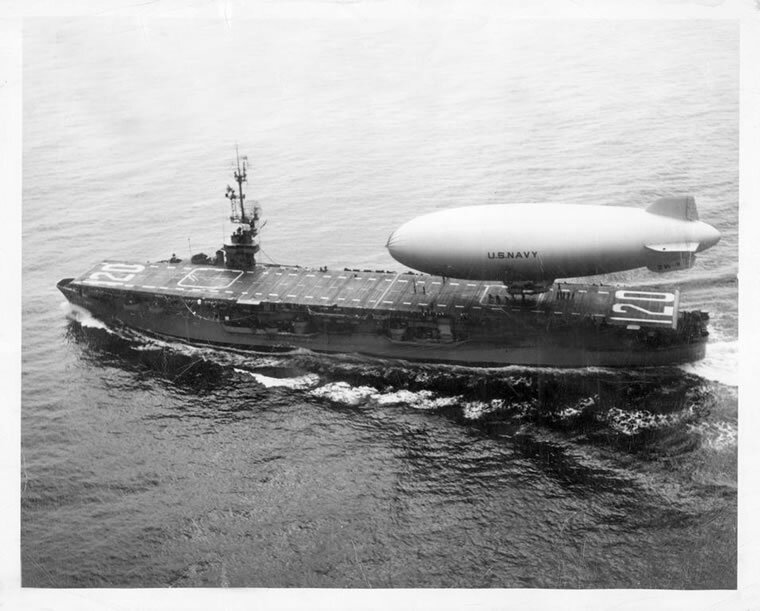 Blimp patrol played a key role in protecting supply convoys traveling along the East Coast from enemy attacks. Airships were also uniquely American during World War II. Only Americans and the Allies had access to helium, which lifted the lighter-than-air (LTA) crafts. Airships escorted nearly 100,000 ships during the war without a single vessel or airship loss, an outstanding record of service. 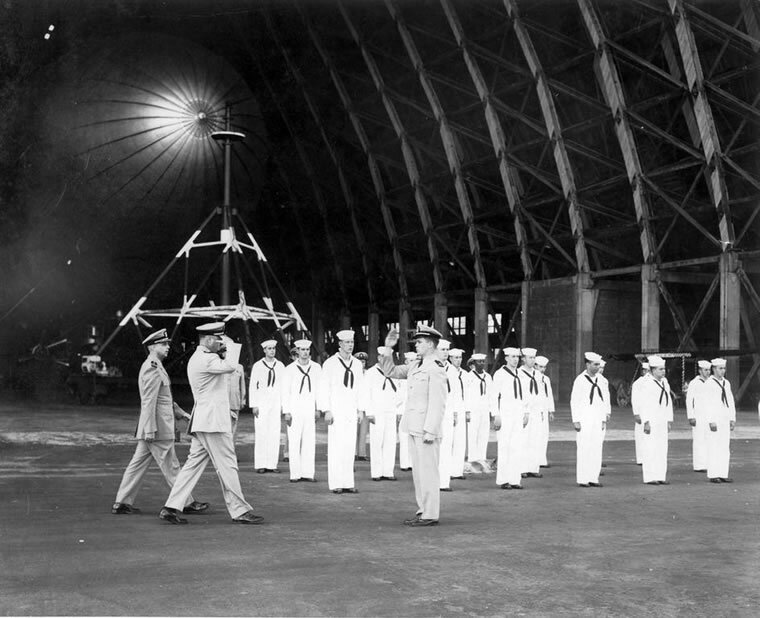 At the conclusion of the war, the airship program at Glynco was discontinued and the large hangars were used to store surplus aircraft. However, the blimps made a comeback at Glynco in 1949 due to Cold War tensions, and the Navy moved all airship training to the Golden Isles. A few years later, Glynco underwent an expansion that increased the runway to 8,000 feet to accommodate jet aircraft operation. It continued to grow and employ thousands of military service members and local residents. As technology changed and helicopters became more prominent, the U.S. Navy discontinued all LTA programs in 1959. Due in large part to the expense of building and maintaining them, blimps had become a relic of the past. The Glynco hangars were fading, too. Coastal humidity had taken its toll on the wooden structures, and they crumbled in large chunks. They were demolished in 1971, just a few years prior to the shocking announcement that NAS Glynco was set to close on Dec. 31, 1974. Today, the former air station is the site of the Federal Law Enforcement Training Center (FLETC), the largest law enforcement training organization in the nation. The jet runway area was transformed into Brunswick Golden Isles Airport. FLETC operates a multipurpose conference center where visitors can learn about the history of Glynco and celebrate the contributions of the thousands of men and women who served their country during World War II and beyond. The fascinating story of World War II and its connection to the Golden Isles will be unveiled in a new and exciting way, thanks to the Coastal Georgia Historical Society. The society, which also operates the St. Simons Lighthouse Museum, is planning for the new World War II Home Front Museum to be housed in a historic Coast Guard station, also located on St. Simons. 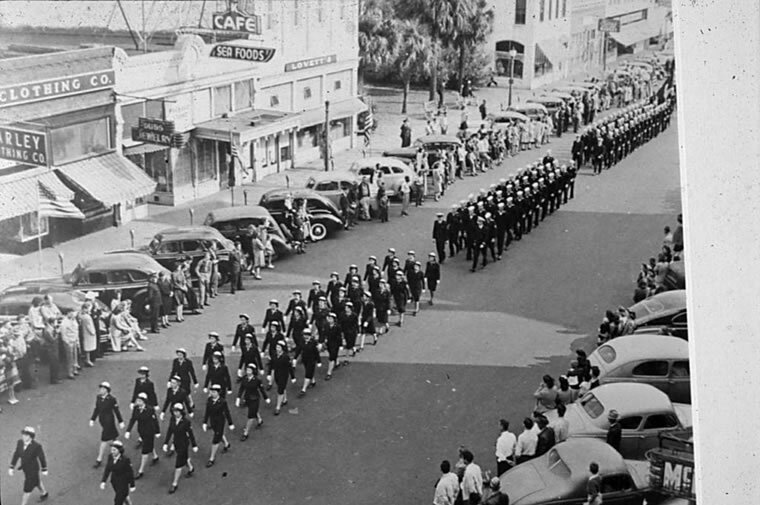 Built in 1936 as part of the Federal Works program, and transferred to the U.S. Department of the Navy in 1941, the building itself is a major part of the story that the museum will share. With 3,000 square feet of exhibit space, the new museum will detail civilian life on the homefront during and after World War II, as well as the lasting impact of wartime industry and military activity along Georgia’s coast. The exhibits will incorporate audiovisual elements, hands-on interactive options, artifacts and oral histories from Golden Isles’ residents remembering a time when the locals came together to aid in the war effort. The museum is set to open in October 2018. For more information and updates, check the Coastal Georgia Historical Society’s website at coastalgeorgiahistory.org.